Who Do I Talk to for My Work Injury? - Law Offices of David M. Benenfeld P.A. After an on the job injury, one of the first questions you may have is whom you talk to. Ideally, the first person you should talk to is your employer or supervisor – letting them know that you were injured on the job. This prompts them to complete an injury report, which you will need if you plan to seek workers’ compensation later. After speaking with your supervisor, who should you talk to next? After all, you have an injury, you need medical care, and you now may be approached by the insurance company to discuss your claim further. To make sure you talk to the right parties at the right stage of your case, follow this quick guide for how to react following a work injury. Who Should You Talk to (in Order) after a West Palm Beach Work Injury? You have a few parties to speak with after your injury, and they all come in a specific order. You want to approach this systematically, because talking to the wrong party or speaking to another too soon could be detrimental to your case. The very first party you should discuss your workplace accident or illness with is your employer. You may not realize you were injured the day it happened, but you will still need to let your employer know within a specified timeframe. Most states, including Florida, have rules for how long you have to file your report with an employer. If you go past this cut-off, you cannot seek workers’ compensation – even if you have a legitimate work injury. The moment you realize you have become injured or you contracted an illness at work, contact your supervisor, human resources department, and employer directly. You will want to let them know about the incident and injuries you sustained. Then, they will create a work accident report with those details. You need to see a physician regarding your injury. If you are seriously injured, you will likely go to the emergency room for treatment. However, once workers’ compensation does start, then you may only see a provider that the insurance company approves because they have contractual pricing and payment arrangements with those physicians. Regardless, seeing a doctor immediately after the incident is in your best interest. If the employer does choose the physician, you may still see another doctor if you are not satisfied or you want a second opinion about your injuries. Workers’ compensation may not pay for the second physician’s opinion, but it could be worth it to pay for it yourself. Depending on the extent of your injuries, relying on the company’s selected doctor may mean that you do not get the compensation or proper treatment you deserve. An evaluation from an outside party may provide sufficient evidence so that your attorney ensures you get maximum benefits from your injury case. You may think that your case is straightforward. And even if you have already spoken to a physician, the insurance company, and filed your report on time, you may need to talk to an attorney. Consulting with an attorney who handles workers’ compensation cases is especially important if you notice resistance from the insurance company, or the insurer refuses to pay out on your case. Consultations with workers’ compensation attorneys are typically free. Therefore, there is no risk to speak with one and explore your rights. Most injured workers think that they do not need a workers’ compensation attorney – and they may be right, depending on how serious the injury is. The more severe the injury, such as one that will keep you out of work or leave you permanently disfigured or disabled, the better it would be for your case if an attorney were involved. 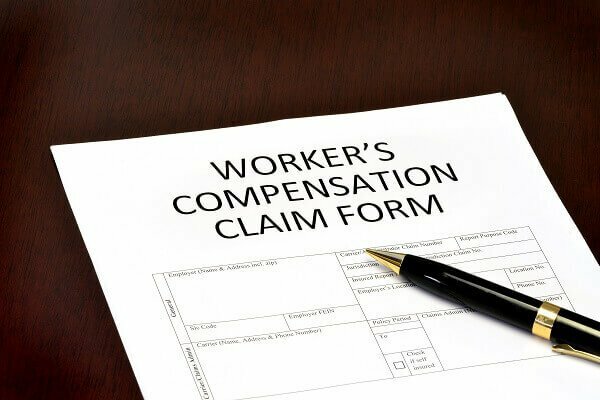 A lawyer knows how to calculate compensation, and they will ensure that the insurance company pays the lost wages and medical care benefits you need to recover from the work-related injury or illness. Likewise, an attorney can protect your rights and help you obtain a lump sum settlement. Insurance companies like to take advantage of employees who do not have an attorney. They know that you don’t have a professional calculating your settlement, and they may try even to deny portions of your claim so that you do not get full compensation. How Is a Workers’ Compensation Attorney Paid? One reason the injured worker will skip hiring an attorney is the cost. They fear that they will lose too much of their settlement paying an attorney’s fee. Yes, an attorney’s fee does come from your settlement – not your own pocket. Usually, the fee ranges from 15 to 25 percent of the total value, but this also depends on whether your case goes to court or you settle out of court. Most attorneys will charge less or have fewer fees if you can settle during negotiations, while a trial may require a higher contingency rate. In Florida, fees are contractual and are subject to approval by a Judge of Compensation Claims. If you have suffered a severe injury at work and now you are battling with the insurance company to get a fair settlement, speaking with an attorney could be what you need for clarity in your case. An attorney from the Law Offices of David M. Benenfeld, P.A. can assist you with your case. Let us assess your work injury claim and help you obtain a lump sum settlement to help protect your future. Call us now to schedule a free case evaluation or contact us online with your questions.